I WAS surprised to receive a text message the other week from a former student, Dada Felix, herself a prizewinning short story writer. 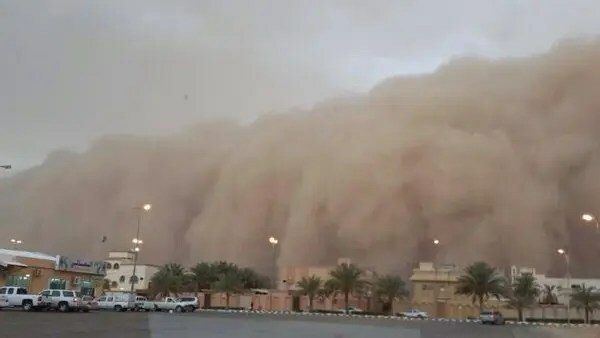 Dada told me that she’d just heard from another acquaintance who was now working in Saudi Arabia, and who’d written her about the sandstorms in that country. “It was just as you described it in your novel Soledad’s Sister,” Dada said. I remembered that I wrote in that scene to introduce some visual drama, and also to create a contrast between the fierceness of the storm and the almost casual decision the girls make that would change their lives forever. But what looking back at my own text truly reminded me of was how often, in the course of writing fiction and even nonfiction, I had to recreate factual scenes based on research and my imagination. This will happen quite often to anyone dealing with historical material, or anything that happens outside his or her personal experience. I had to imagine much of that, this being the time before computers and Google, and when I had scant time for and access to libraries, as a working stiff outside of academia. Years later I would read a contemporaneous account that pretty much validated what I had made up. Do I always get it right? Heck, of course not. These forays into virtual reality are inherently risky—you’re guessing half the time, and all it takes is one small but noticeable mistake to ruin the seamlessness of the effect. There’s a long list out there of factual boo-boos poets and novelists have made—not that it matters much to their unsuspecting readers. But not all readers can be so easily seduced by fluid prose. It took an Indonesian professor who had flown to and from Saudi Arabia to gently, almost apologetically, inform me that I had my time zones all wrong in my opening scene in Soledad’s Sister—the same work that Dada praised for what seemed to be its uncanny accuracy—that a plane flying eastward from Jeddah would have flown behind the daylight clock rather than ahead of it. I thanked her profusely, and made a note to correct that in future editions of the book. This entry was posted in Art & Culture, Travel, Writing and tagged realism, Saudi, writing by penmanila. Bookmark the permalink.